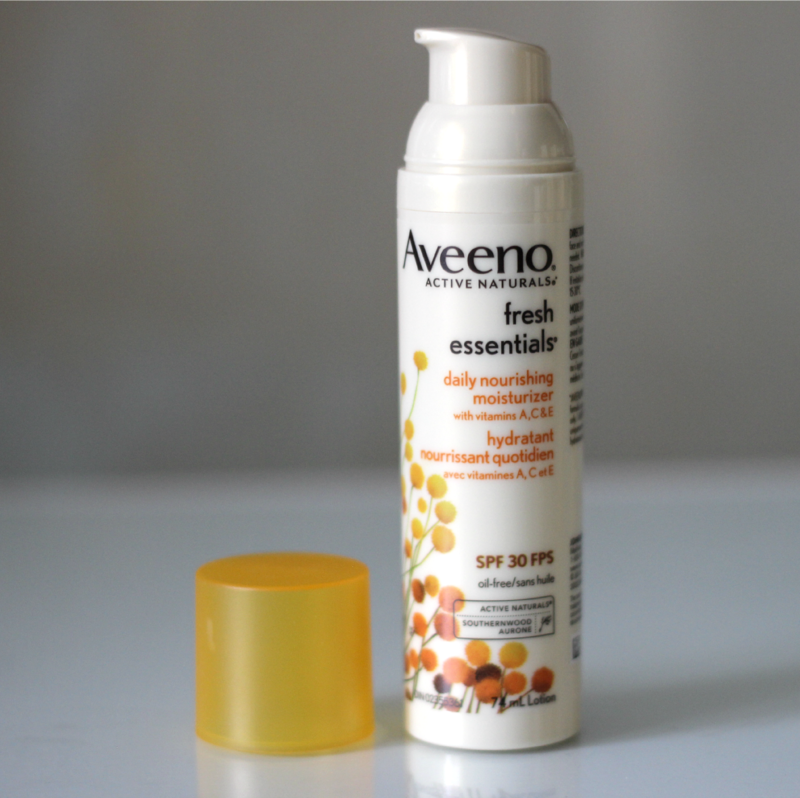 Aveeno Fresh Essentials Skin Care | Review and Giveaway! The one place where I can spend a little (ahem) too much time browsing the aisles when it comes to beauty items is the drugstore. Whenever I'm shopping with someone at the pharmacy, this is where they inevitably get dragged to, or where I sneakily make my way to while they are looking for other items. I remember when I first started buying skincare, this is where most of my "mula" damage was done, and I remember one of the first brands I ever tried is Aveeno. It's been a while since then, but today I have a few products from the line to share with you after testing them for the last few weeks, namely the Aveeno Fresh Essentials Nourishing Moisturizer SPF 30*, Hydrating Night Cream* and Daily Exfoliating Scrub*. 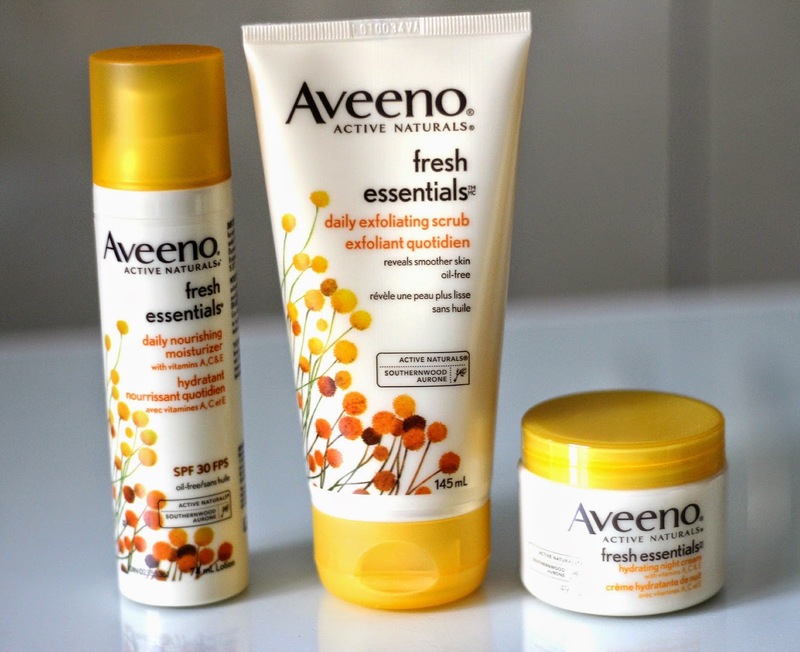 Read to the very end to know how you can win these three products from Aveeno! The Aveeno Fresh Essentials Nourishing Moisturizer SPF 30 is great to wear during the day as it feels very light and gets absorbed quickly, definitely one that works well under makeup too. The added sun protection factor is always nice since it's important to protect our skin from the sun, even during the colder and overcast months because harmful UV rays still make their way into the lower atmosphere. Important to mention too is that all three products in the line are also oil-free, hypoallergenic, and non-comedogenic. They contain anti-oxidants such as southernwood extract to fight free radicals and also vitamins A, C, and E to help smooth and condition the skin's surface. The Fresh Essentials Hydrating Night Cream has a thicker consistency, making it perfect for bedtime as it will help condition the skin so that you can wake up with soft and moisturized skin. It contains similar ingredients to the Nourishing Moisturizer, and as with the others products is scented, so something to keep in mind if you are more sensitive to scented products. Night creams can be a little expensive, so it's nice to have this option available for under $20. The Fresh Essentials Daily Exfoliating Scrub is interesting as it contains natural luffa (source of the luffa sponge we like to use in the shower) and coconut pulp to slough off dead skin cells. The beads are tiny and provide a mild exfoliation without irritating my skin. I use this two to three times a week as I think it's best for me not to over exfoliate since my skin is quite sensitive. If you are looking for a light scrub to help unclog your pores from impurities, this one is really nice and affordable. Now for the giveaway! If you would like to win these three products, simply fill out the box below (open internationally). The first few entries are mandatory, and once completed, more entries will be unlocked. The more entries you complete, the higher your chances of winning. Good luck! I haven't tried aveeno before. I have tried a few of their body lotions and baby products. I really like them. Yes, I love Aveeno products and have used them before. I haven't tried the Fresh Essentials line yet. I have not tried the Aveeno line before. 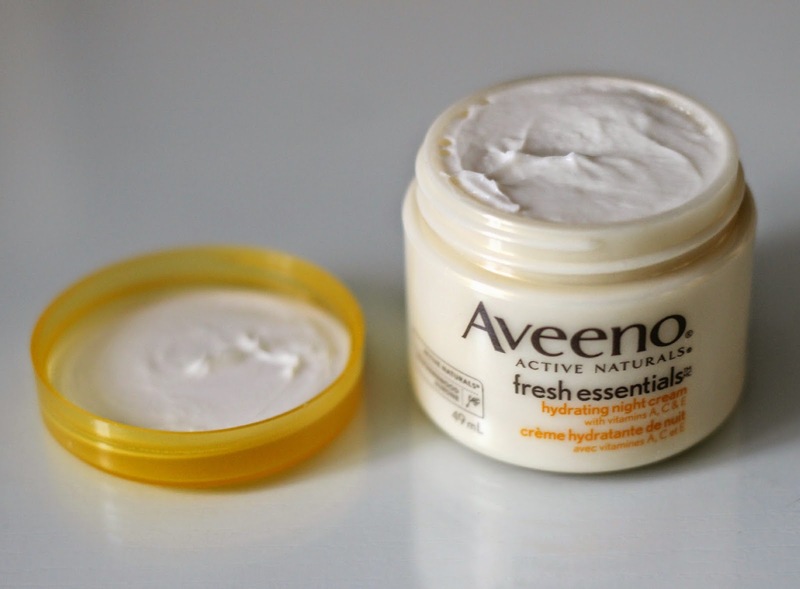 I have tried Aveeno before and liked it a lot, but not this Fresh Essentials trio. I have very dry, sometimes itchy skin so this would be a blessing. Thanks for the opportunity to win it. No i havent try yet ! 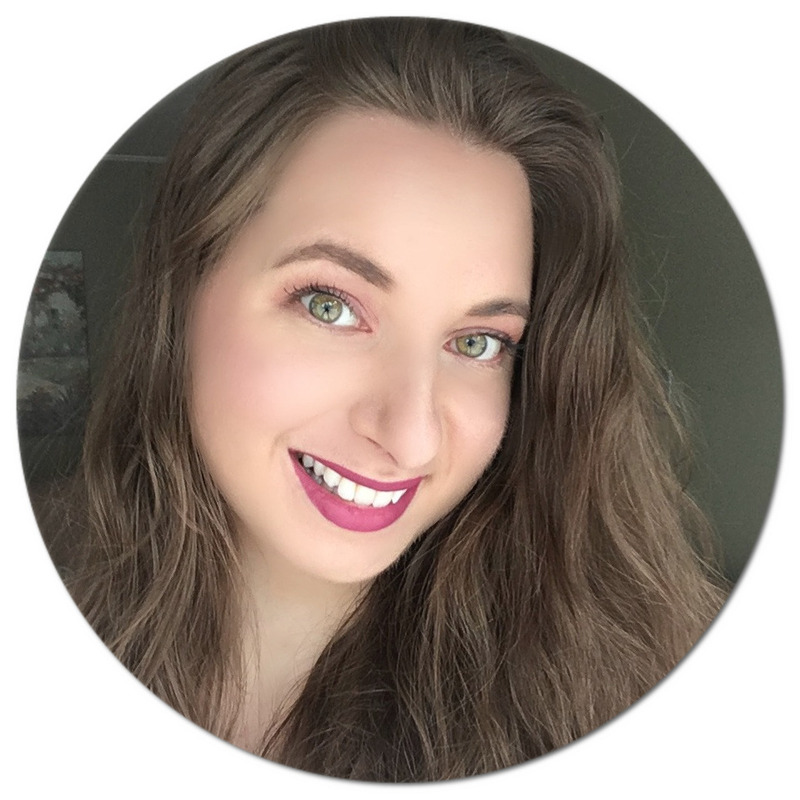 I've tried and loved their seaweed dry shampoo. I have not tried yet! No I have not tried it yet but would love to!! BIG fan of Aveeno's Daily Moisturizer. I had no idea about this line - TFS! 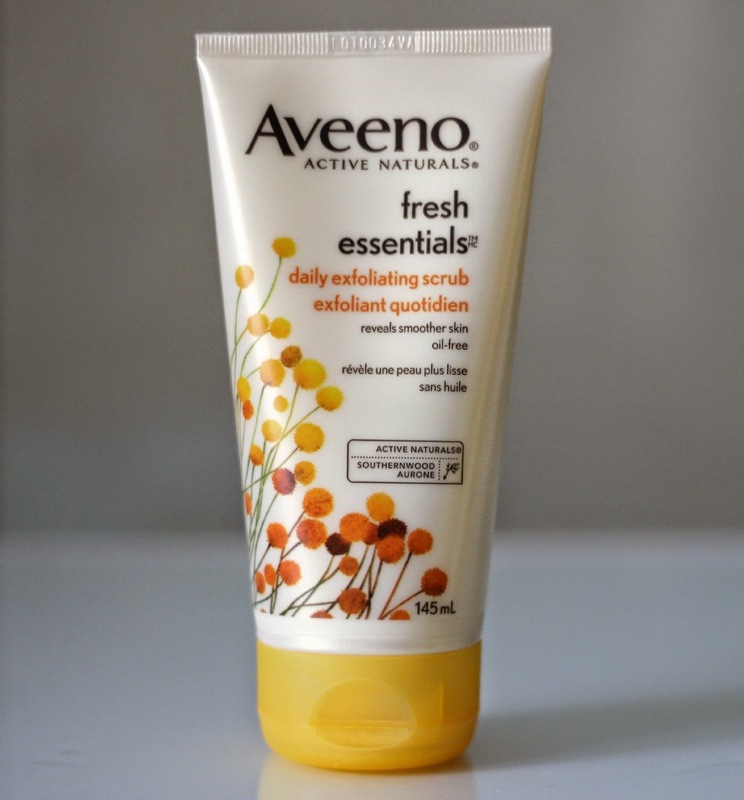 I have not tried these products by Aveeno but I do use a lotion by them for my hands that I really like and I am fairly picky when it comes to a hand lotion. No I want to try it! Hi! I have tried the Aveeno products before. I love how soothing they are with the oatmeal. Thank-you!! I have tried several Aveeno products. It's one of my favourite brands actually. Yes, I've tried several products of the Aveeno line and love the results. I use Aveeno Positively Radiant as well Aveeno Moisturizing Lotion. I chose one of the posts under the rafflecoptor that says You May Also Like and has a few listed. I went to the post, read it, commented as Christy DuBois then looked at the date and it is December 20, 2012- talk about going back in time!!! But I did enjoy it. No, I've not tried the Aveeno line, but I have tried some of their older products. I've never tried Aveeno before, but would love to try it out! I've tried one of their hand lotions and fell in love!! I have not tried the Aveeno line before!